Print the snowflakes onto card or thick paper, and cut out the individual snowflake squares. Once you’ve download them, here are some ideas for different ways you can play. :: Use them to make snowflake bunting or a number line. Head here to see how to use a number line for math learning. :: Use the snowflakes to play matching games. Print two sets and see if you can match up the pairs of numbers, or use the blank snowflakes and see if you can match up the pair of identical shapes. Place two sets of the snowflakes face down and use them to play Memory. 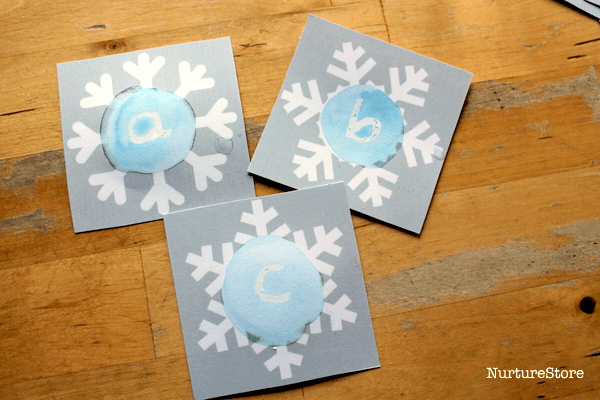 :: Write out the alphabet on the blank snowflake cards and use them for language games. Hide the whole alphabet around the house and see if you can treasure hunt them all and place them in alphabetical order. Use the letter cards for spelling practice. :: Use the number or your alphabet cards in a sensory tub. Hunt them out and see if your child can say each number or letter. Maybe they can spell their own name. Or pull out two numbers and add them together. 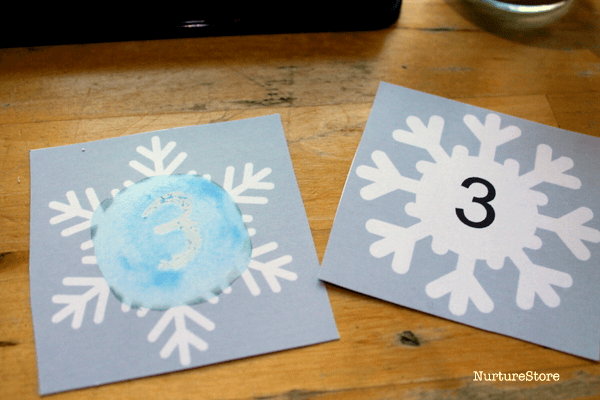 :: Draw over the numbers on the snowflakes to practise writing numbers the correct way round. :: Our favourite – make magic numbers and letters! 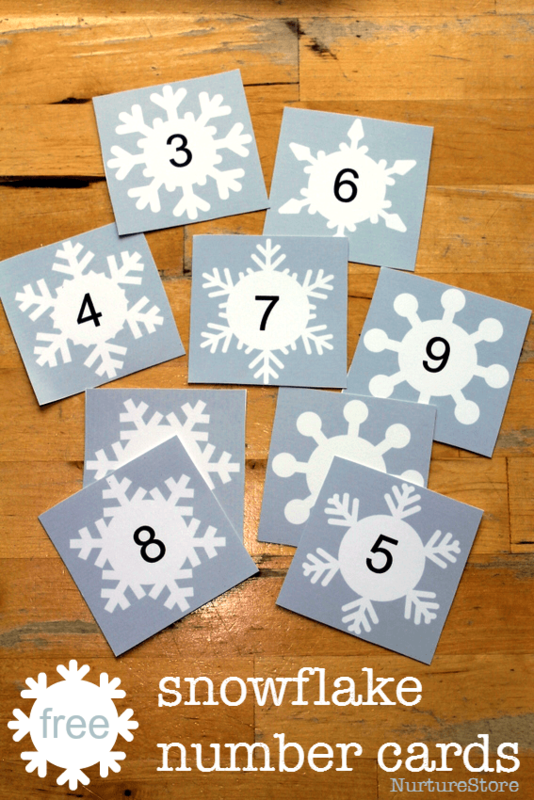 Print a set, or a few sets, of the blank snowflake cards. 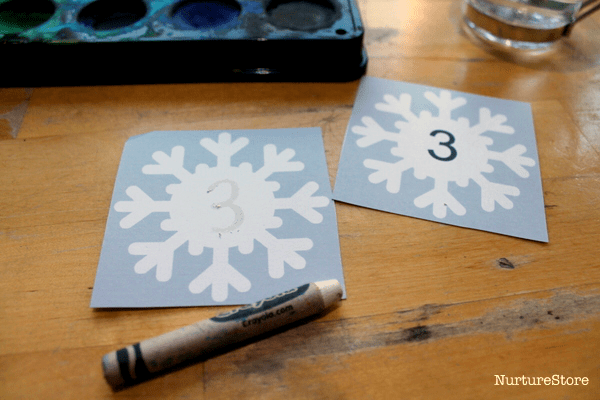 Use a white wax crayon or oil pastel to write a number or letter in the centre of each snowflake. 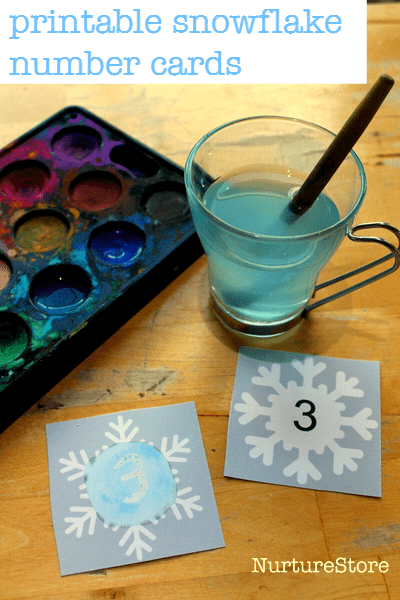 Then, use some cold and frosty blue watercolour paint, and paint right over the top of your snowflake. See your magic numbers and letters appear! This activity is a fun way to practise writing numbers and letters correctly. I am very happy to learn more about craft.